I have maintained my ‘Moreton Bay History’ Internet site since 1997 and used it to publish biweekly instalments of oral history until I had sufficient to publish them in book form. It was an inbuilt deadline to meet every second Saturday. However, I like to live in the present time, as well as in the historical past; and in other areas as well as Moreton Bay. So I introduced a blog page on my Internet site as a way of keeping readers informed of my current thoughts and activities. However, over the years, I have found that history – either from personal reminiscences or from my experiences collected from local history – has more and more infiltrated my blogs. Perhaps I have reached that age when I like to reflect back on my life’s experiences and on those who have influenced me. It also strikes me that many of the things I have experienced have passed into history itself. It’s beginning to make me feel old! So when does the topical end and history begin? When it ceases to become viable? 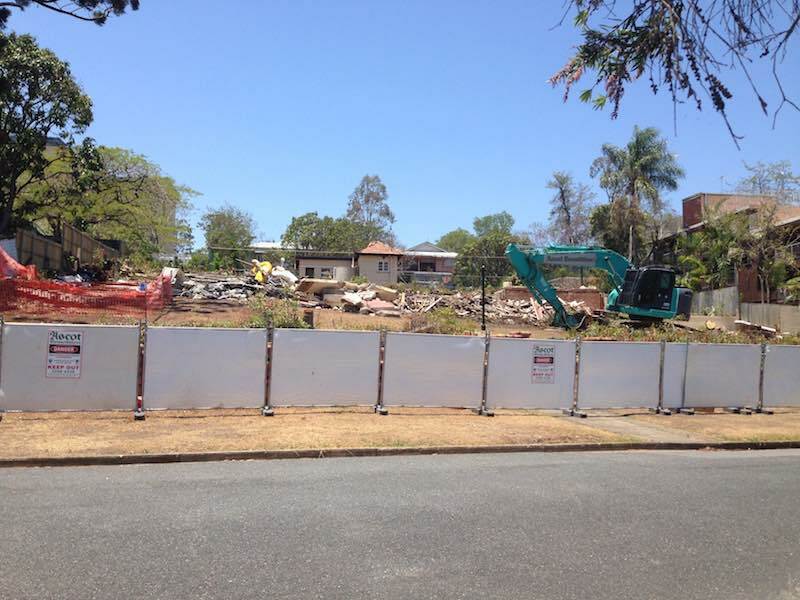 Looking back on my own blogs, my old childhood home at Glamis Lodge, Coorparoo has now been demolished to make way for units. It’s still causing controversy, and even has its own Facebook page ‘Save Our Coorparoo – Glamis Lodge’. 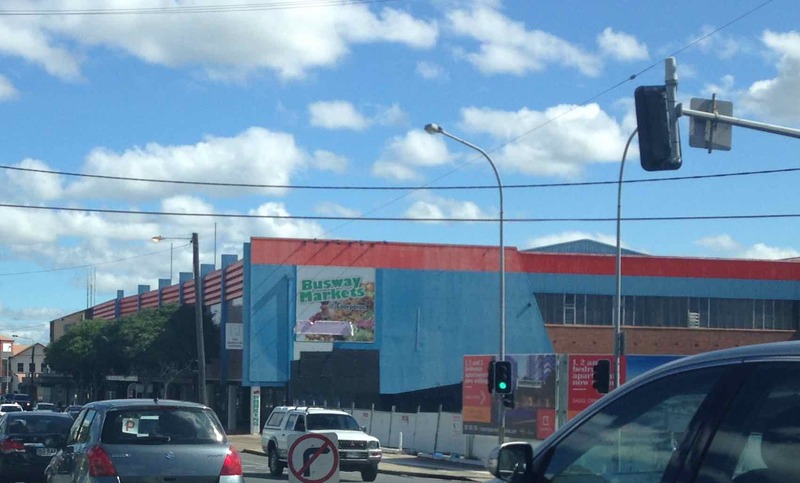 Then there is the Myers shopping centre, Coorparoo, which I lived opposite for ten years: also now demolished for apartments. I guess you could now call both of these ‘history’. Other blogs revisit wrecks in the mangroves of Moreton Bay and the Lazaret at Peel Island. Still others are just my observations of places I visited on holidays – with a tinge of their history thrown in. You will note that it now includes my weekly blogs, which I update every Saturday. I hope you will visit and enjoy my pages! The tallest Norfolk Island Pine in the background was my favourite climbing tree. I haven’t climbed a tree for quite some time now (35 years I think), but I was an avid tree climber in my childhood years. In particular, I favoured the large Norfolk Island Pine that grew in our yard at Coorparoo. It had several advantages: it was easy to climb with branches conveniently placed – almost like a spiralling ladder; I loved the sound of the wind whistling through the pine needles beside me; and there was always that sense of danger when the trunk narrowed near the top and that ever present fear of falling and being dashed to pieces on the cement terrace below. But it was the different perspective that I had from above that inspired me most of all: the ability to see our suburb from above, instead from the street view. I often imagined how great it would be to be able to fly over the neighbours’ houses and look in their back yards without them knowing. 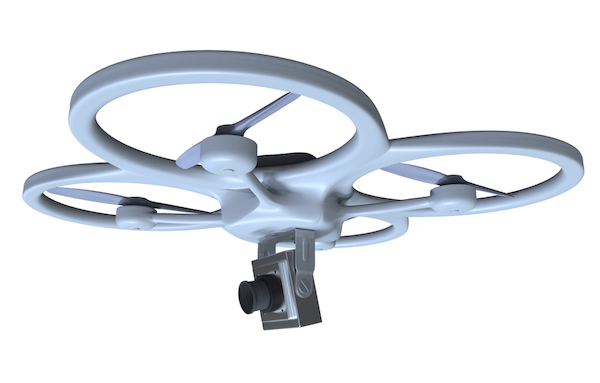 Of course these days, we can do this with drones – small flying machines that can record a video of all that they see, and I’d even have no need to climb a tree! 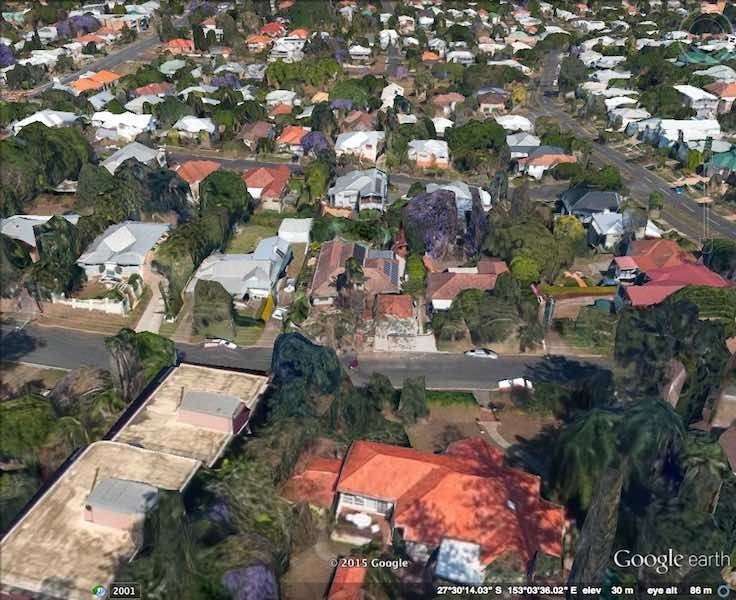 When our former home at Coorparoo was put up for sale in 2014, the Estate Agent used a drone to capture its image from the air, and then displayed it on his web site. If you are droneless as I am, you can always resort to Google Earth on the web for a great aerial view. 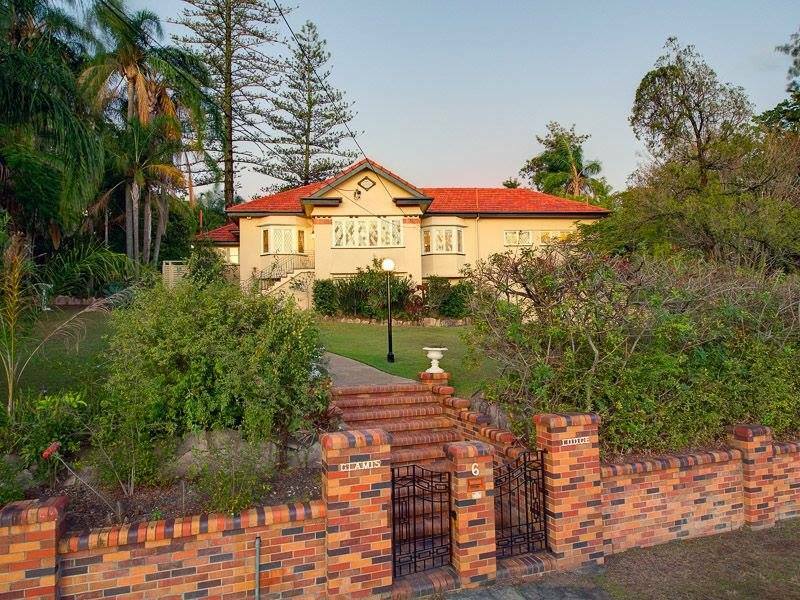 At the end of 2014, our former Coorparoo home was sold to a developer and demolished to make way for home units. 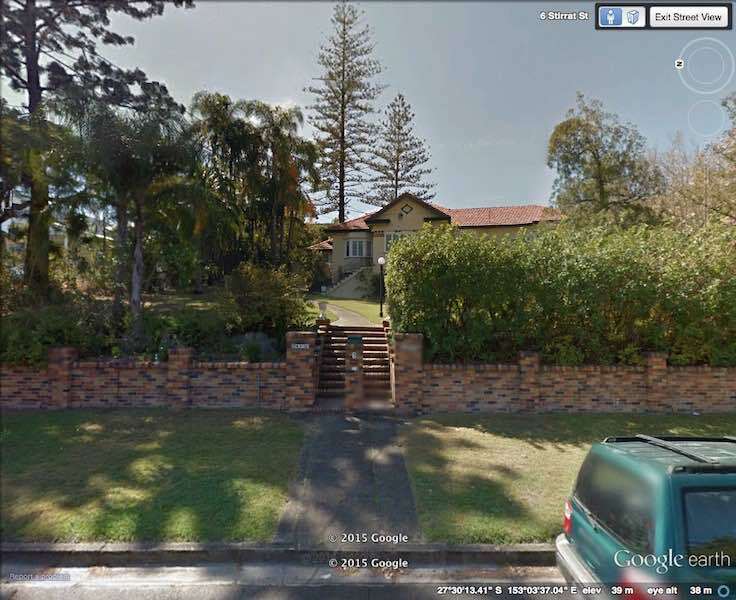 My favourite Norfolk Island Pine tree was also removed, leaving only my memories and the images on Google Earth and the Estate Agent’s website – until they too are updated. Site of my former home (and Norfolk Island Pine Tree) 2015. I must be getting very old, because, with all the talk about people’s fond memories of the Coorparoo Myer Department store, my memories go back even further to when the Roxy Pictures occupied the site (it was up the Woolworths corner of the block). In my childhood days, while I was still living at Glamis Lodge, 6 Stirrat Street, I and the other kids of our street would attend the Saturday afternoon matinee at the Coorparoo Roxy or the Alhambra at Stones Corner. As well as two feature films we were treated to a swag of cartoons. It was a common belief in our group that when the name of a cartoon came up on the screen, the projectionist would leave it on as long as our cheering lasted. Those kids’ matinees were very noisy affairs! When our family moved from Glamis Lodge in 1958, my father and I rented a flat directly opposite Myer in Old Cleveland Road for ten years. The Roxy held out for several years, but eventually its owner,Mr Fielding, succumbed to the economic pressures of Myer and the competition from TV and sold out. It was still the era of trams, and whenever one trundled past our flat, the noise drowned out all conversation (and the TV). Much later, from 1972 until 1977, I managed the Henry Francis Pharmacy which was situated within the Myer store itself: more happy memories there! It’s strange that the Glamis Lodge Facebook page seems to be following so many memories of my former life. Finally, as a suggestion, would it be appropriate to name the new cinemas in the Myer Apartment complex, the Roxy, as a reminder of its much loved predecessor?